This is a guest post by Sasidhar Kareti, a magician who makes his living the blogging style. Aha! Here I am finally, on Swadhin’s blog. I have been longing to be featured with my guest post on his blog since beginning. Swadhin is one of those first made experienced blogger friends virtually. I ‘m delighted to be here on his blog today, and I thank him for the invite with all my heart. You may pick up your popcorn bucket and cool drink sippers but make sure to enjoy the read. Professional bloggers are from heaven. Everything they touch becomes gold, everything they breathe becomes oxygen. C’mon! I was just messing up with you. No blogger was born from a special place. Every one of them writes for a purpose and those who get most of it enjoy doing it. That’s it! If you are a beginner and wanted to start a blog today; earn 6 figures tomorrow and become a professional by the next day then, you are in a really hurry and better to buy some time to breathe. Remember that the world is not going to end all of a sudden or apocalypse prevails on earth by tomorrow. Blogging is no easy money-earning program, though. Also, earning money from blogging is not the right definition of a professional blogger, though. So, how can I be a professional blogger? If this is what you inner voices are asking you, you are synchronizing correctly with my thoughts here. It needs some time, determination, and commitment to become a successful professional blogger in a short span of time (at least by a year I guess). Ok! I admit that I spoke huge words there but, I am damn sure you are not going to see such ‘whatever!’ thoughts on the following 7 points and they will help you become a professional blogger all by yourself. If you are thinking, I bought a domain name now what? Congrats you just complete stage 1 of becoming a blogger. Here is a guide to start a blog, yourself. Do not run after the experts and professionals. Just find some best tutorials on the internet (there are a number of expert tutorials available on the internet. Refer them) and start learning it step-by-step. It should not be like looking out for someone likes as said in some mythological prophecies that someone would come and help you out. Check out how Michael Hyatt grew his blog from 0 to 350,000 visitors per month on this post. Starting up a blog (all) by yourself will help you learn the concept of blogging and understand the blogging platform very keenly. A slow step-by-step self-learning teaches a lot more than a bunch of courses. Every piece of knowledge gained will motivate you to reach further milestones much faster confidently. To start, work on, and get success on something, one must know one’s strengths and weakness as well. The strategies to overcome weaknesses will come under needs, and it will help you strengthen the foundation knowledge for a bright future. Coming to the technicality, make sure about your needs. Better, choose a premium blogging platform like WordPress if you can afford. It is not less choosing a Blogger or any other platform as well. Make a list of resources you need to establish yourself as a blogger. That might include the technical aspects like hosting, blogging platform and domain name. As a bonus, you can get a professional hosting and free domain for only 22 USD (for one year) by clicking here. It’s the same hosting DigitalGYD is hosted on. So grab your authority domain now. Personally, you need you make up yourself for it mentally. Blogging is not a one-hour-per-day process. It needs most of the hours sometimes as most professional bloggers do. Plan your day and timings accordingly so that you won’t get disturbed with the hectic schedules. Moreover, the interruptions might take away the charm of the interest of that moment. Creating blogs at random and hitting that publish button as many times as you could won’t help you, I mean at all. Try to read some expert blogs and catch the plots how they are engaging the reader such longer. Observer the kind of language they are using and how. It will help you write user interested articles from the beginning itself. Also, read the beginner blogs later and you will understand the difference between the professional blog and a starter blog. This observation helps you gather things of what you need to kick start with your blog with high packed potential energy. You should also keep an eye on your competitors. In my SEMrush review article, I show how you can exactly spy on your competitors and see their best performing pages, targeted keywords and complete backlink data. Networking is the key to blogging success. The reason professional bloggers have a lot of followers is not only just the content but also the networking. Maintaining healthy writer-reader relationships with your readers helps you grab more eyes. Because as it is said, “a happy reader can bring ten other new readers to our blog.” A reader who gets satisfied with your content and communication will suggest your blog to his friends with pleasure. Maintain relationship networks with other fellow bloggers as well. This will help you in branding and give you exposure, chances of backlink building as well as other perks that are listed in this post. Learning from a teacher might improve knowledge but learning on your own improves it equal to 100 teachers taught. Always try to learn things on your own. Don’t rush to or run after the professionals or fellow experienced bloggers for every silly query. It annoys them, and you might lose one beautiful piece of knowledge source. They might be busy in their blogging routines and ‘Googling’ them with silly queries can give you bad results. The internet is vast, and you can find any information on it. Use internet to find the information you need most of the times. If you can’t find any clue about something, then take the help of your experienced blogger friends in finding a clue, yeah! Just a C-L-U-E. Always respect their privacy and mind that they are not signed up to offer you 24×7 premium support (No offense). You might have got some ethics, some rules in life that you would apply in your profession also. Never compromise on them as long as they are honest and quality based. If you insist on providing quality information only on your blog, keep up to it regardless of the web traffic and earnings you are getting. This might not yield good results quickly but will be helpful in putting your blog on the top in future. Search engines will never overlook Blogs or website with quality information. In fact, search engines love quality blogs. So, if you are setting some values to follow in blogging, just set them up, the rest will be taken care of, by angels from heaven. Whatever you write, it should please the reader. Only readers can help you achieve better rankings on search engines if to speak technically. Make your blog navigable easily to your readers. Use proper grammar and vocabulary (HINT: Download the free handy Grammar cheat sheet for times of need). Don’t just fill them up with ads everywhere else. If so-called ‘content’ is the king, readers should be his people to take better care of them. Don’t forget that you are always the prime minister of your kingdom and remember not to lead your king to failures. A proper administration only can make your people (readers in this case) happy. As said previously, professional bloggers are not born from heaven or fall from skies. They are made on earth. To become one, you need to adhere some qualities and follow some techniques. That’s it! Is there any popcorn left in your bucket by the way? Hope I didn’t make it long. Did I? Share your thoughts in comments below. Sasidhar is one of my best virtual buddies and is the tech-savvy founder of AmfasTech.com. 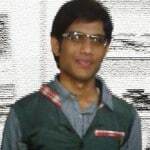 He Loves to write about technology, blogging, SEO, Software design and development issues. I told ya he’s a magician. Being a blogger is one thing but what’s the main and important thing is being a professional. Its not easy buy yet, its also not a rocket science. Anyone can become a professional blogger provided you’re really eager to put down the work that will take you there. Its really a gradual process and I have no doubt that if one can diligently follow all the tips you’ve mentioned here, he will surely succeed in being a prof. Thank you for this post! Very interesting insights. I think I’m really lucky because I am reading this valuable post. I am definitely ready to take my blog to the next level :) I would absolutely love to do what you’re doing. Anyone who is thinking about blogging really should read this and take note of the words of advice given. You’ve explained the points well and I agree with your viewpoints on becoming a professional blogger. Yes, blogging isn’t just crafting the posts and hitting publish button. We should know the tactics to find and engage the readers. Of course, yes! It is not a money-making program, something beyond that. Earning from my blog is a secondary thing for me. I love to write for my loyal readers and discuss some helpful information with them. I really like your first 3 points, step-by-step learning by ourselves. Yes, it would be better to manage everything by ourselves rather depending on others. I enjoyed reading the post and appreciate your passion in blogging. Have a wonderful weekend both of you. I felt like hitting a random lottery that I didn’t buy when you told me about this oppurtunity. I’m a picker in this case. I have been desperately waiting to write for you and looking for that ticket to get on the bus. Glad you came to the rescue and offered me a golden ticket. The pleasure is all mine. I am glad to have given my audience a chance to experience from the experience of a professional blogger like you. I think its a great post and yes I do agree that senior bloggers have their own schedules and novice bloggers should not bother them at every second hour.